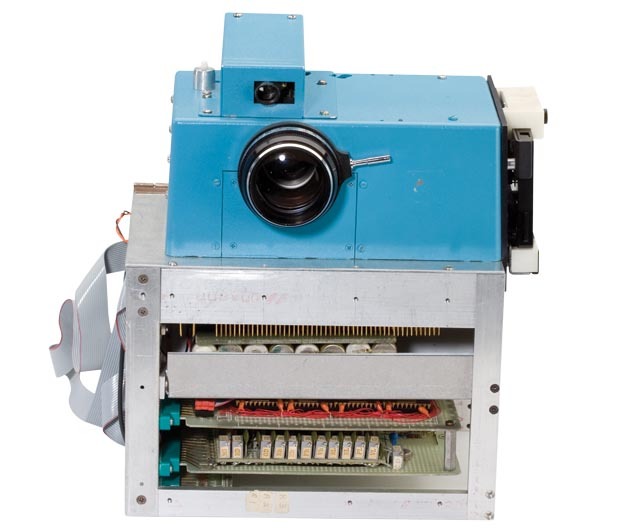 Kodak engineer Steve Sasson created this first digital camera in December of 1975. 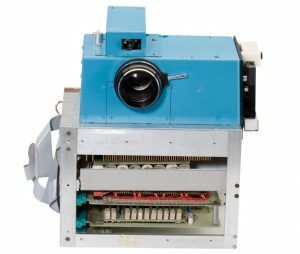 It was a camera that didn’t use any film to capture still images, it would capture images using a CCD imager & digitize the captured scene and store the digital info on a standard cassette. The image was viewed by removing the cassette from the camera and placing it in a custom playback device. This playback device incorporated a cassette reader and a specially built frame store. This custom frame store received the data from the tape, interpolated the 100 captured lines to 400 lines, and generated a standard NTSC video signal, which was then sent to a television set.